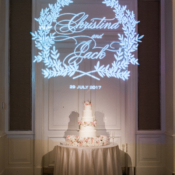 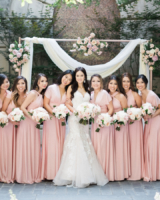 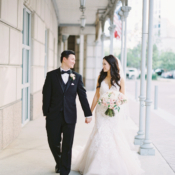 Christina and Jack envisioned the biggest celebration of their lives to be a romantic, timeless wedding, celebrated with their closest family and friends. 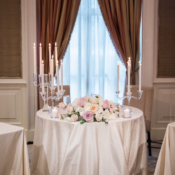 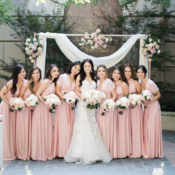 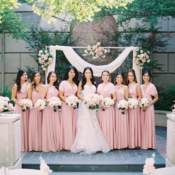 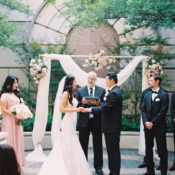 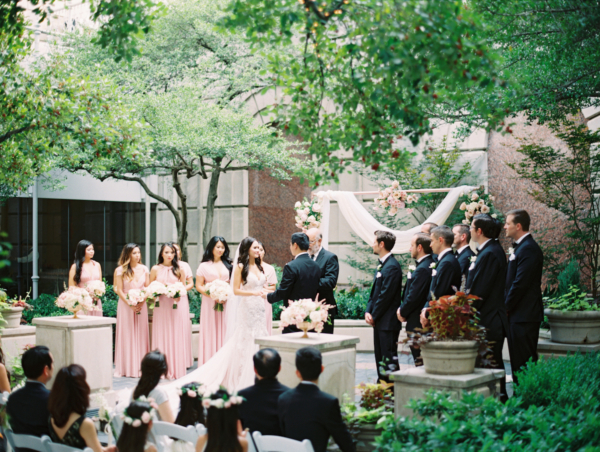 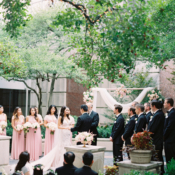 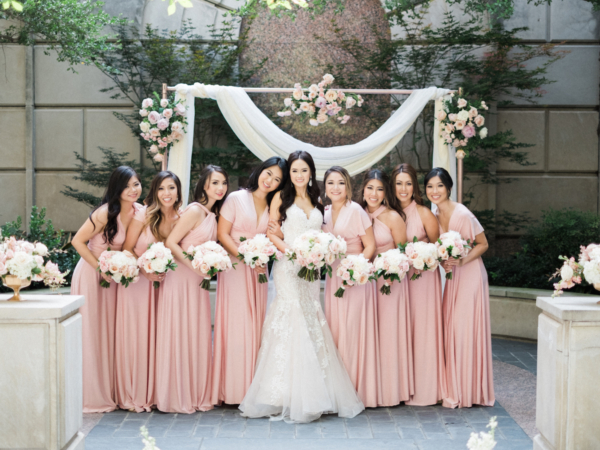 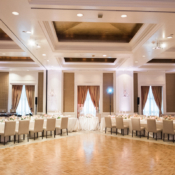 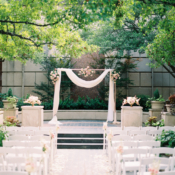 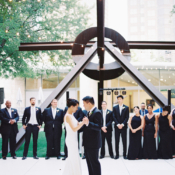 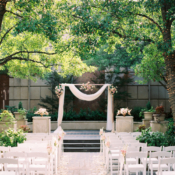 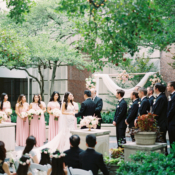 Their top priority was atmosphere and food, and The Crescent in downtown Dallas, with its outdoor ceremony courtyard and modern chic ballroom was the perfect choice! 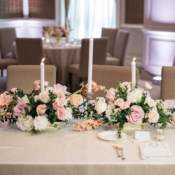 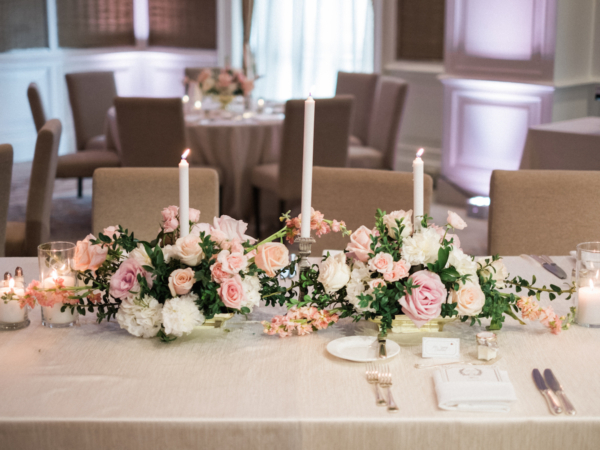 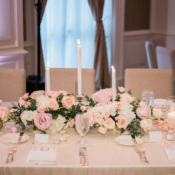 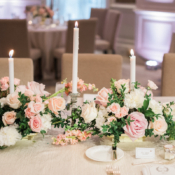 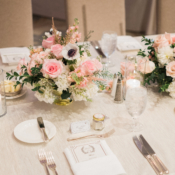 The couple worked with Sarah of Keestone Events and selected classic blush and ivory tones, warm greenery, and pops of metallic gold for a whimsical flair. 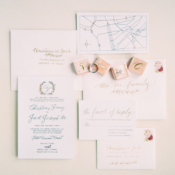 Personal details abound, from the stationery and garter, both created by the maid of honor, and lavender candle favors, handmade by Christina and her family. 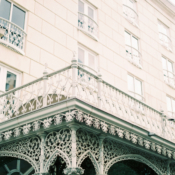 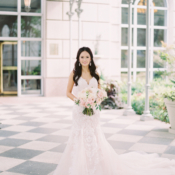 Christina chose a stunning lace Essense of Australia gown, which subtly echoed the intricate ironwork on the terrace of The Crescent, and her maids donned comfy convertible dresses from Lulu’s. 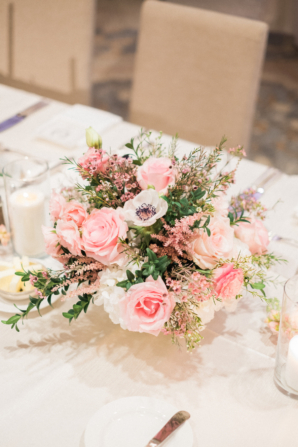 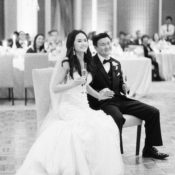 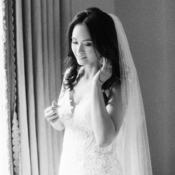 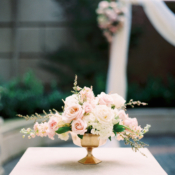 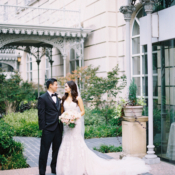 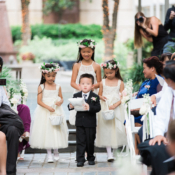 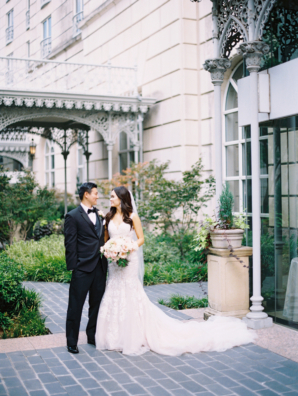 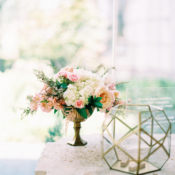 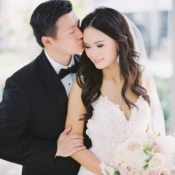 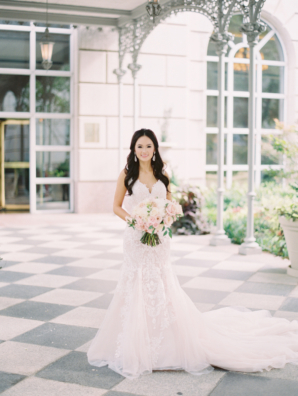 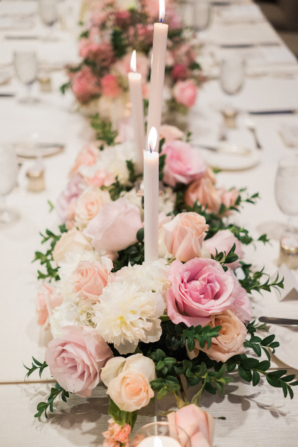 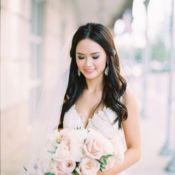 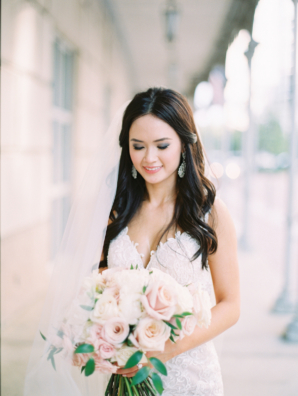 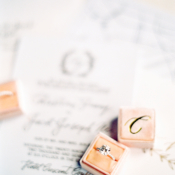 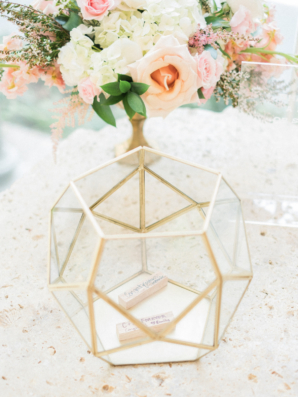 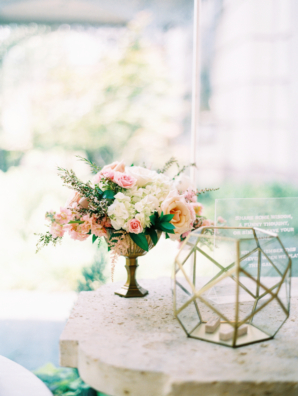 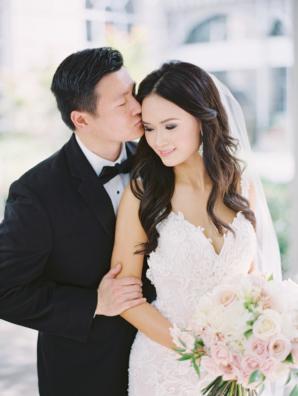 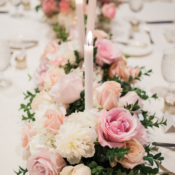 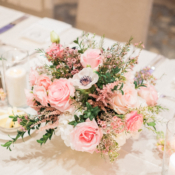 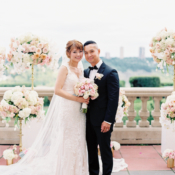 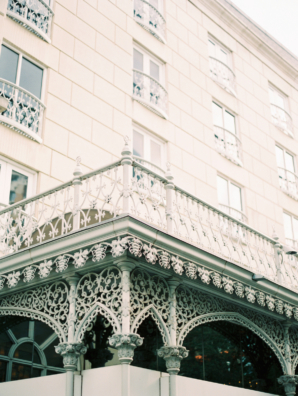 We are absolutely smitten with the beautiful images captured on film by Allen Tsai Photography! 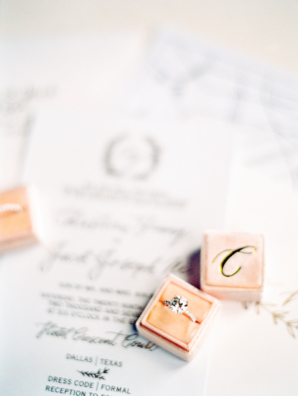 It is perfectly okay to be stressed out from wedding planning! 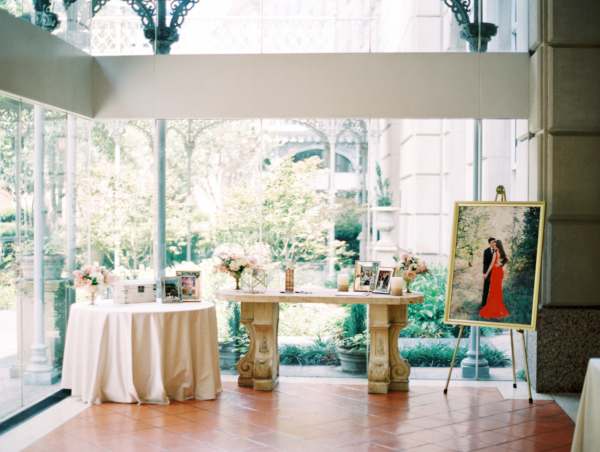 Create a timeline and jot down any advice/tips you accumulate from brides and experienced wedding attendees. 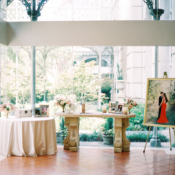 Get a good wedding planner you can rely on so you can enjoy the week before the wedding. 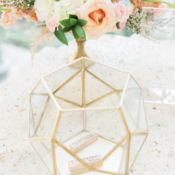 I had Stephanie from Keestone Events pick up decor and miscellaneous supplies the Sunday before the wedding to avoid any potential procrastination on my behalf. 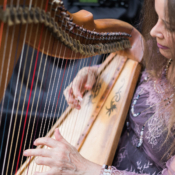 Remember to allow yourself to reflect and enjoy the process!